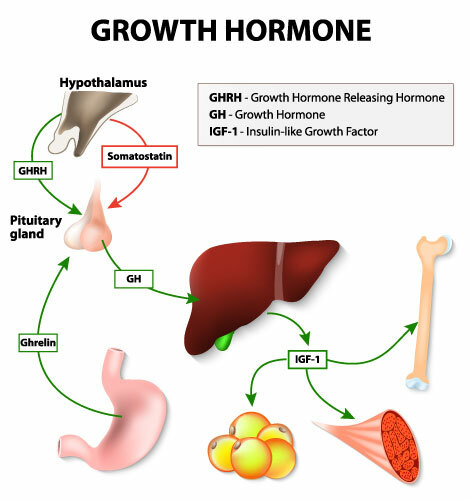 Human Growth Hormone (HGH) is a potent hormone made in the pituitary gland. Also known as somatotropin – peptide hormone, HGH stimulates growth and cell reproduction that helps influence height as well as building bones and muscles. The hormone’s primary function is to help with processing proteins and increasing fat breakdown to help provide the energy needed for tissue growth. According to the US National Library of Medicine of the National Institutes of Health, this potent hormone has a wide range of biological effects. Levels of HGH in your body change throughout the day depending on your physical activity, sleep, stress and low blood sugar. Like any drug or injectable element, its uses can be extremely beneficial, but its abuses should also be addressed. The last two treatments indicate the areas HGH can be abused. The classic example of athletes and body-builders who use steroids are now turning to HGH hoping to benefit from its anabolic effects without suffering the egregious side effects of the steroids. HGH gives athletes an unfair advantage over their competitors, however. Because it is at least as powerful as steroids, it should be banned from sports, though testing for it remains problematic. No evidence exists of HGH’s benefits for the elderly at this time either. This example as well as use of HGH in children of normal height should be considered abuse of HGH. These uses are outside the established indication of the hormone and should be considered abuse especially in lieu of the potential side effects. A condition called acromegaly in which adults experience an overgrowth or thickening of bones, especially in their hands, feet and face. Acromegaly can occur naturally due to a pituitary tumor that stimulate too much growth hormone, or in response to HGH treatment. 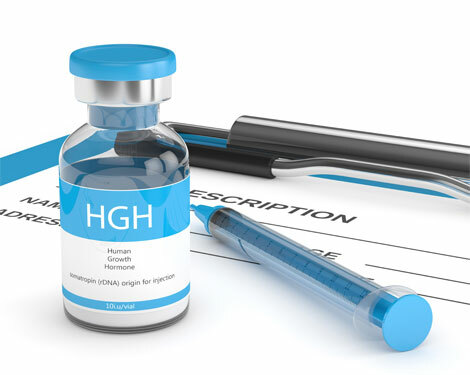 Many of these side effects occur with high doses of HGH, so studies are underway to check effectiveness of lower doses, hoping to reap benefit without the corresponding negatives. A combination of several symptoms indicates the need for blood work to look for possible growth hormone deficiency. 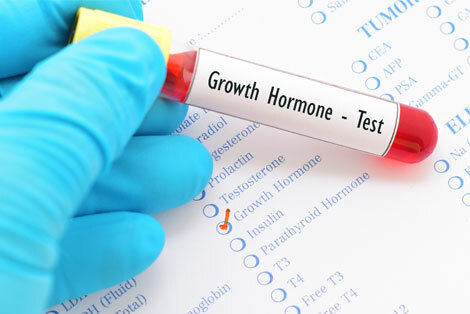 Natural growth hormone (GH) circulates in the blood and dissipates rapidly so blood work may not be effective in determining if GH levels are low. Your doctor will most likely conduct a “GH stimulation test” on an outpatient basis to determine your levels. Combining HGH injections with a balanced and healthy lifestyle maximizes the treatment potential. A balanced diet, plenty of sleep and exercise, and following medical advice gives individuals with HGH deficiency a greater chance at a normal, productive life.